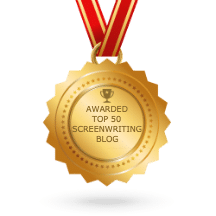 It has been an exciting year for us, working with screenplay writers from around the world and providing screenwriting tips. 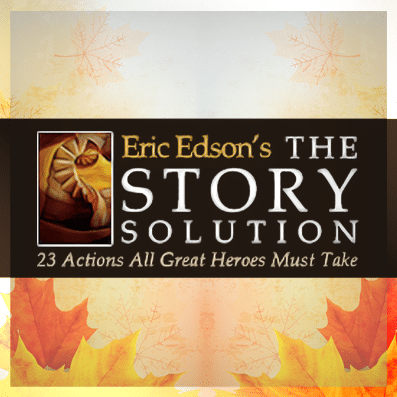 Eric’s book The Story Solution: 23 Actions All Great Heroes Must Take, continues to instruct and inspire. He has been busy mentoring and advising his graduate MFA students, other up-and-coming screenwriters, and industry pros on their screenwriting projects. This Thanksgiving we want to take a moment to thank everyone who helped spread the word about The Story Solution as one of the best books on screenwriting, and thank all the writers we’ve met while doing presentations and seminars, new friends who have helped to make 2015 so special. Facebook: The Story Solution Facebook page crossed a major threshold when it achieved 2000 “Likes” recently – and we are now already up to 2200! We are thankful so many of you want to expand your skills and make your screenplay writing more successful and effective. Eric will keep providing tips, if you keep sharing! Pre-Oscars Panel: In February Eric spoke at the Annual Writers Store Pre-Oscar Panel with other Michael Wiese Productions authors. He drew from his experience as a screenplay writer, author and professor to discuss the scripting and directing of the year’s Oscar-nominated films. Thanks to the Writer’s Store this annual event is always lively and fun! Best Seller: Eric was thrilled that The Story Solution became one of the best screenwriting books in China just one short year after being translated. Eric views this as proof that the ability to tell a captivating story transcends language and culture, and he looks forward to sharing his insights on writing screenplays with many other countries. New Website: To continue providing a passport for your next scriptwriting adventure, we gave our website a completely new design. Take a look at some of the added features and listen to a few of Eric’s audio clips on how to create better characters for your story. Story Expo 2015: Once again, Eric joined an illustrious roster of speakers at this year’s Story Expo, which took place September 11-13 in Los Angeles, where he presented three seminars. He especially enjoyed speaking about screenplay writing with so many new friends and wants to thank the show’s producer, Derrick Christopher, for the opportunity to share powerful tools for improving screenplays. Story Expo is a must-attend conference for anyone involved in writing a movie script. Plan now to attend Story Expo 2016, which will be held September 9-11, 2016 at the Westin LAX Hotel in Los Angeles. 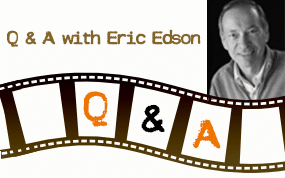 Eric continues to provide monthly blogs and posts on screenwriting topics that we hope you find of interest. Thank you to everyone who helped make all of this possible, and to those who continue to rely on The Story Solution to help hone their scriptwriting craft. Happy Thanksgiving and keep writing! About The Story Solution: Eric Edson’s The Story Solution provides screenwriting tips for those interested in writing a screenplay. 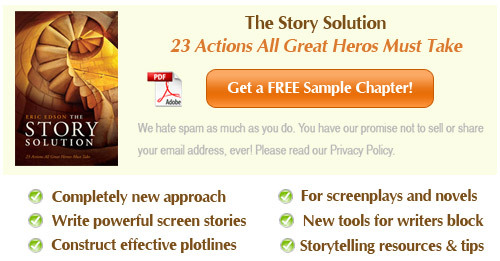 Often acclaimed as one of the best screenwriting books, Edson outlines 23 actions used in screenplay writing to create three dimensional heroes. Visit the website at http://www.TheStorySolution.com to listen to audio clips about creating characters. 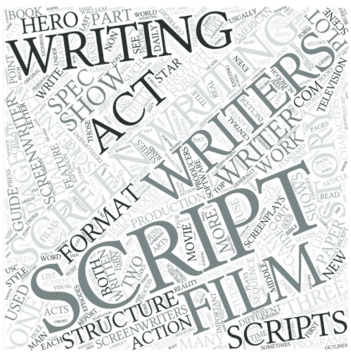 “Like” the Facebook page to receive tips on scriptwriting. Call 818-677-3192 for more information about writing a movie script.